Descriptions Daxy Blogger Template is a one of new wp to blogger converted modern blogger template. 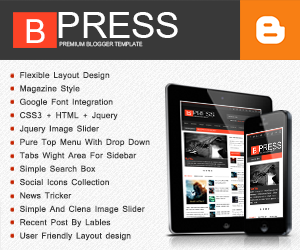 its 3 columns blogger template with 2 right sidebar and 4 column footer area. center column have social icons collection and tabs wight, this tab wight help to manage your blogger widgets. dual top menu links and 468px ads banner placed header area. top right corner have search box. blog users can search content and filter data. Daxy Blogger Template design for design and tech related blogger blogs.